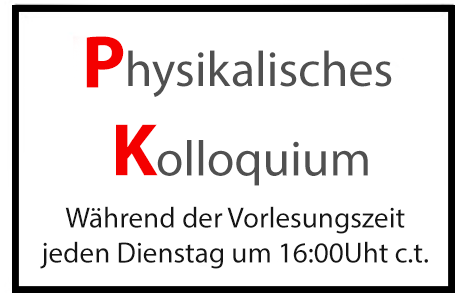 The Institute of Physics at Mainz University counts more than 40 professors, approximately 180 research associates, and about 65 mechanics, technicians, and administrative staff. astroparticle physics, colloid physics, dark matter, detector development, elementary particle physics, gauge theories, high energy physics, imaging techniques, ion traps, laser spectroscopy, magnetism, many-body systems, neutrino physics, neutron physics, quantum information, quantum optics, semiconductor physics, soft materials, solid state physics, statistical physics, surface physics, ultra cold ions, and ultra cold neutrons. Additional information on these and other areas of the research we undertake can be found on the websites of the individual scientific work groups..
Our major research assignments are primarily financed from project-specific third-party funds that are competitively procured. Our largest sponsors are the German Research Foundation (DFG), the German Federal Ministry of Education and Research (BMBF), and the European Commission (EU). Expenditure from third-party funds on research has consistently exceeded EUR 7 million annually in recent years. In addition, relevant research funding is also provided from the Excellence Initiative by the German federal and state governments, since the institute participates extensively in the Cluster of Excellence "PRISMA" and in the Graduate School of Excellence "MAINZ". The Institute of Physics has been significantly involved in several collaborative research centers as well as the Symmetry Breaking Research Training Group, and is globally connected in many ways: Physicists from the Mainz Institute of Physics are conducting research at many international research centers, such as CERN in Geneva, the Institut Laue-Langevin in Grenoble, and TRIUMF in Vancouver, Canada. We even have a team at the South Pole! In addition, we maintain extensive contacts with many leading research-oriented universities worldwide. Conversely, many colleagues from all over the world regularly come to participate and work with us for anywhere between a few weeks to several years. Of course, we also provide many courses within the various programs of study offered by the faculty and give students who are preparing to take their exams the opportunity to collaborate in our research projects and find suitable topics for their theses and dissertations. We are also involved in vocational training. About three precision engineers learn their trade in our Mechanical Workshop every training year. A wide-ranging academic program of lectures and a series of events designed to appeal to school children, teachers, as well as the interested public complete the range of our activities.